custom design woodworks » Blog Archive » Great-Looking Knotty Alder Kitchen! 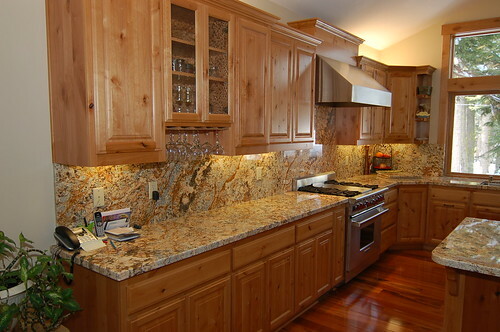 Here is a great-looking kitchen with knotty alder cabinetry complemented by a beautiful and unique slab granite. One interesting feature of this kitchen is the wine storage cabinet located next to the refrigerator. This design was necessary to fill the space right of the window without using large fillers.